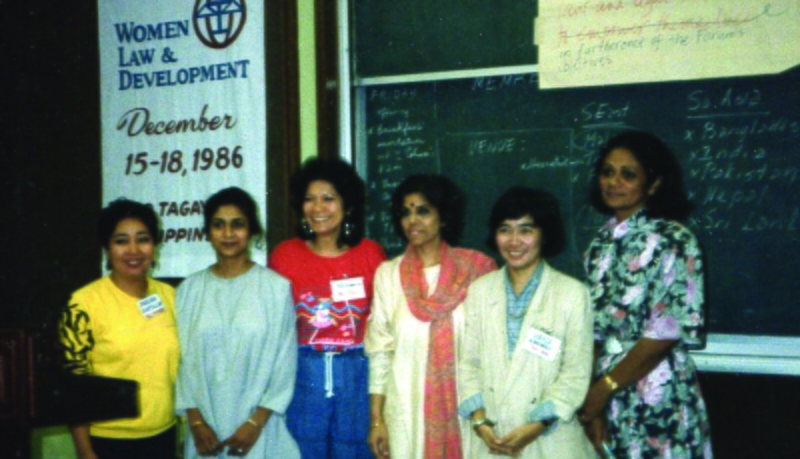 APWLD developed from dialogues among women lawyers, social scientists and activists from Asia Pacific, which began at the 1985 Third World Forum on Women, held in Nairobi, Kenya. Participants in these dialogues recognised that gaining the capacity to mobilise people to understand social, economic and political dimensions of women’s oppression and take collective action for change required a clear focus and strong organisation. In 1986, women lawyers and activists in the region formally launched APWLD and set up a Secretariat in Kuala Lumpur, Malaysia. The Secretariat relocated to Chiang Mai, Thailand in 1997; with a satellite Secretariat in Penang, Malaysia opened in 2017 to support the growing work of APWLD.